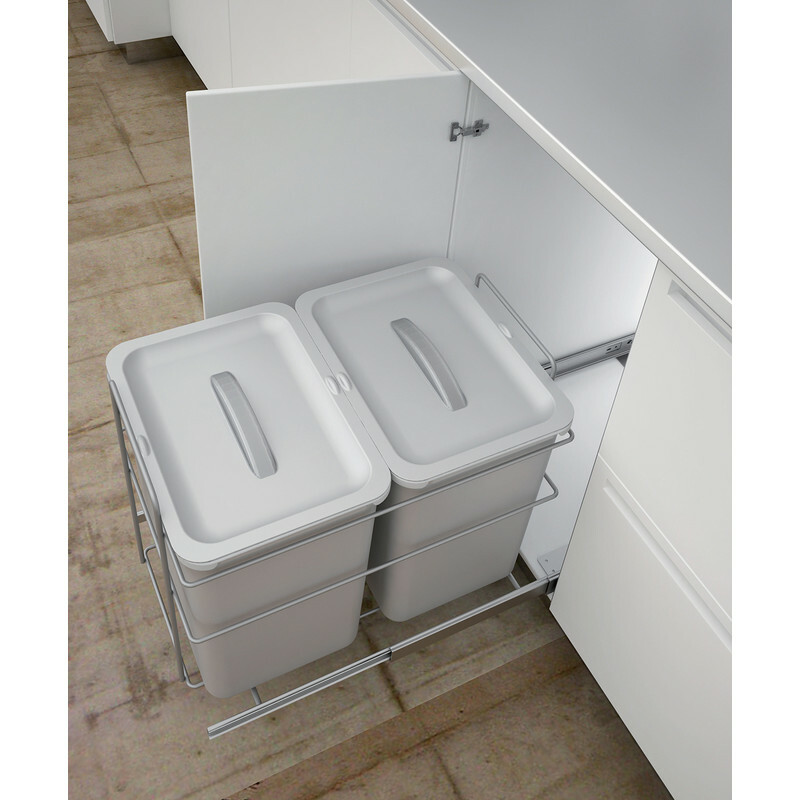 Hafele 400mm Pull Out Waste Bins 2 x 16L is rated 4.5 out of 5 by 2. Rated 4 out of 5 by GoG7 from Good Waste Bin Solution for Narrow Cuboards Due to the location of the water and waste pipes in my new kitchen cupboard, my waste bin solution had a height and width limit, who was overcome by using this smaller solution. The only improvement could be better lid handles. Rated 5 out of 5 by Dall from Good size with sturdy frame and runners. I bought this to organise the recycling, from the current supermarket carrier bags. It’s sturdy, except for the carrier handles, which seem a little flimsy - time will tell.